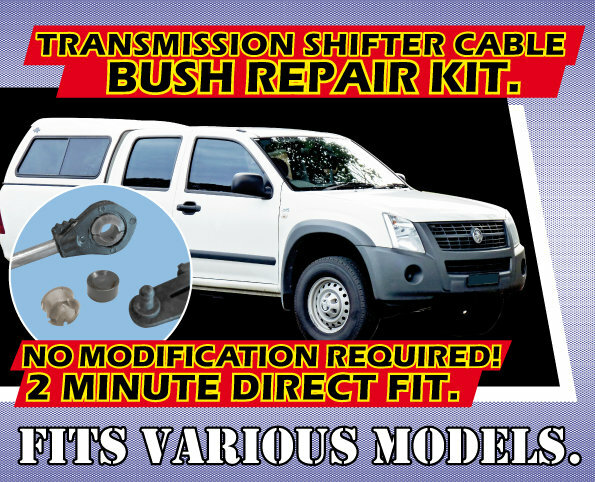 RA Rodeo, DMAX, & Corolla AE100 Transmission Shifter Cable Bush Repair Kit. Very quick and easy to fit. Great for mobile mechanics! (Contact us for an Automotive Trade Discount Code at marketing@powerwin.com.au).